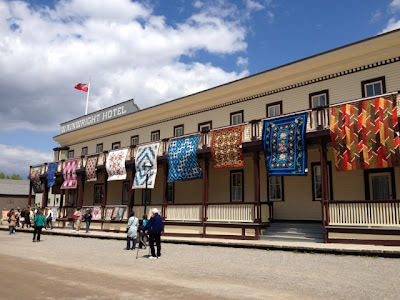 So here are just a few of the many (many, many) photos that I took at the Heritage Park's 2012 Festival of Quilts. It was my very first time attending, and it was one of the best shows I have ever been to (Having said that - please be reminded that my "show experience" at this point in time is limited. Having said that I think it's a show that would stand up happily with the best). I bought a 2 day pass and I'm glad I did. Day 1 I went with my Mom and Day 2 I went with friends. 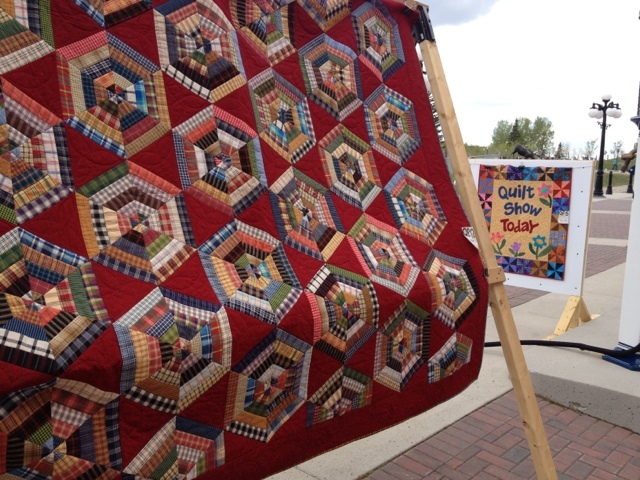 Both afternoons were jam packed with quilty goodness - so yes you do need to make a weekend of it. (I suppose you could go full throttle from dawn to dusk in one day - but I wanted to pace myself). 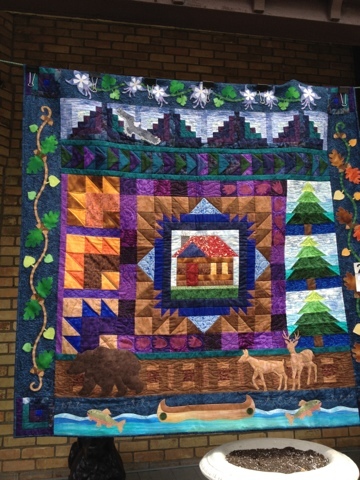 One of my favourite quilts greeted me right at the entrance (above). I love the colours. The simplicity. The bold presence of the quilt. 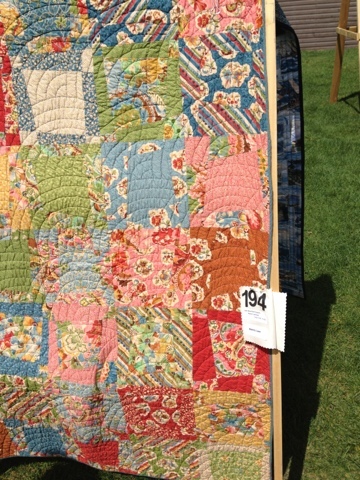 I took alot of pictures of this quilt - and only now realise I didn't take a picture of it's show number for reference. It's funny how you can be drawn to a quilt - and not understand why.The quilt above (#194) which was simply titled "Modifed Nine Patch." It had a bit of indefinable quirkiness about it. 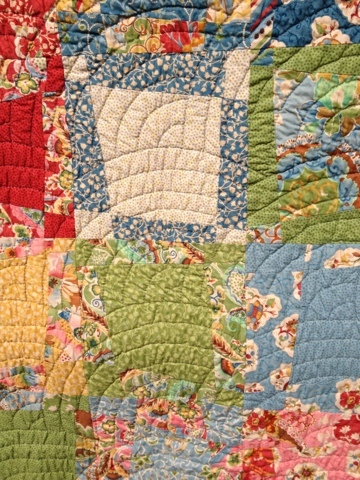 Once I read the creator's quilt statement I understood why. 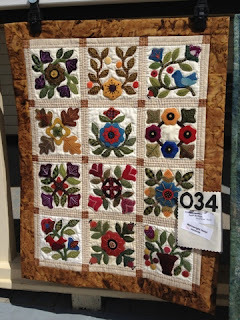 It had 3 major components that I like: A: It's handquilted. 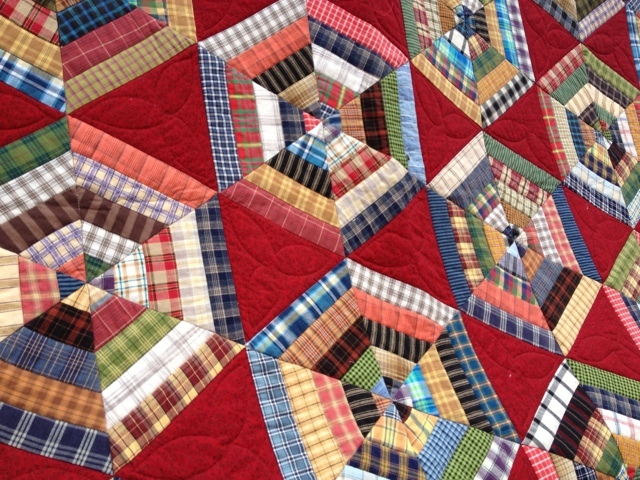 B: It uses 1930's style fabrics and C: It's inspired by Gwen Marston's Liberated Quilts books. 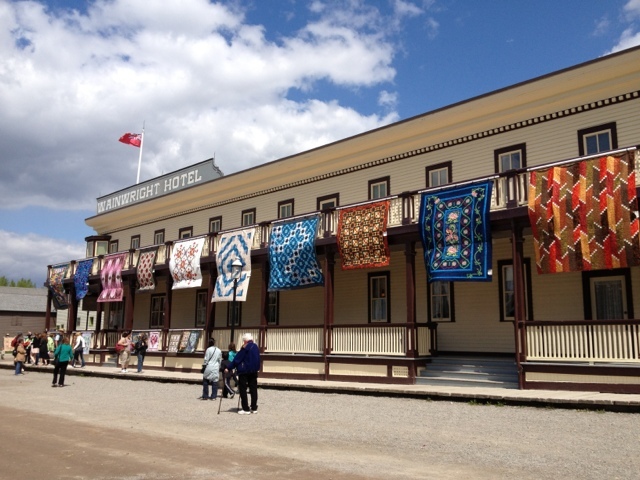 Heritage Park is an immense historical village stretching over 127 acres ( right in the heart of the city). Quilts reigned supreme that weekend. 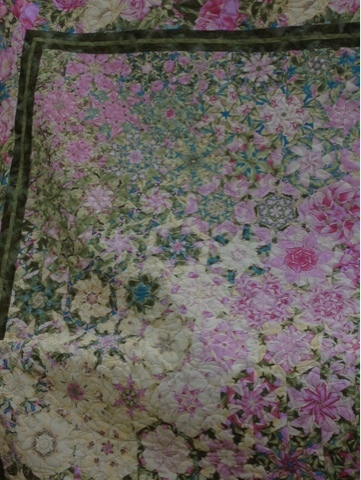 This quilt (above) was hung on the veranda of the Prince House (noted for being haunted). The picture really doesn't do it justice. 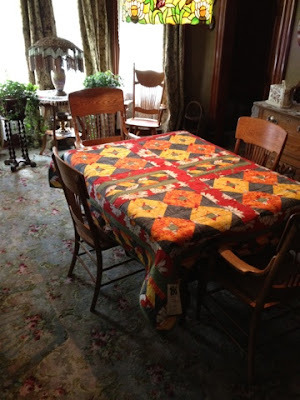 Inside the rooms were laden with quilts and hooked rugs (which were also part of the show). This happy sunflower quilt, was draped over the diningroom table (below). 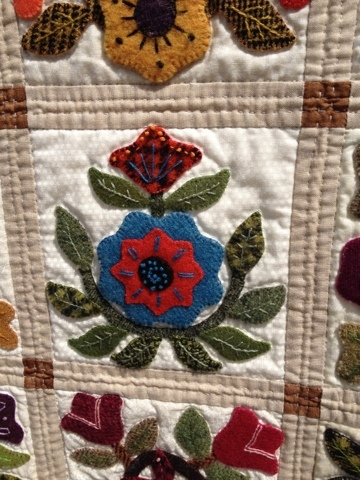 Here is a gorgeous wool applique - both the full quilt and a close up ... (inspiration is "My Heart to your Hands.") 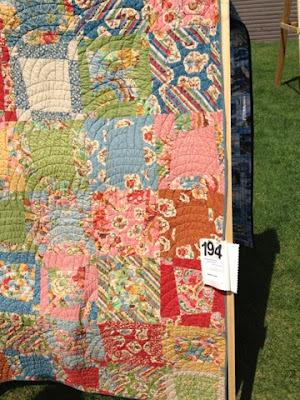 The creator notes that she has used hand dyed wools! Well that's it for today. 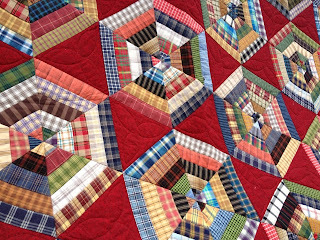 I think have enough photos and inspiration to keep my blog and my mind happily rolling along until next year's show! Well - it's just after 9 am on Sunday morning... time to put the pedal to the metal and get sewing!